India’s Got Talent which is well abbreviated as IGT is one of the most popular Indian reality TV show and here on this page we are going to share complete list of India’s Got Talent winners of all seasons 1,2, 3, 4, 5, 6, & 7. You can find the name of India’s Got Talent winners along with their photos. But before we do proceed with IGT winners list just would like to let you know that the show was founded by Sakib Zakir Ahmed and part of the global British Got Talent franchise. It is a cooperative effort between Colors and Britain’s FremantleMedia. IGT follows the global Got Talent format, in which contestants audition in front of 3 judges and a studio audience. Up until the semifinal and final rounds, the judges decide whether or not a contestant advances in the competition. 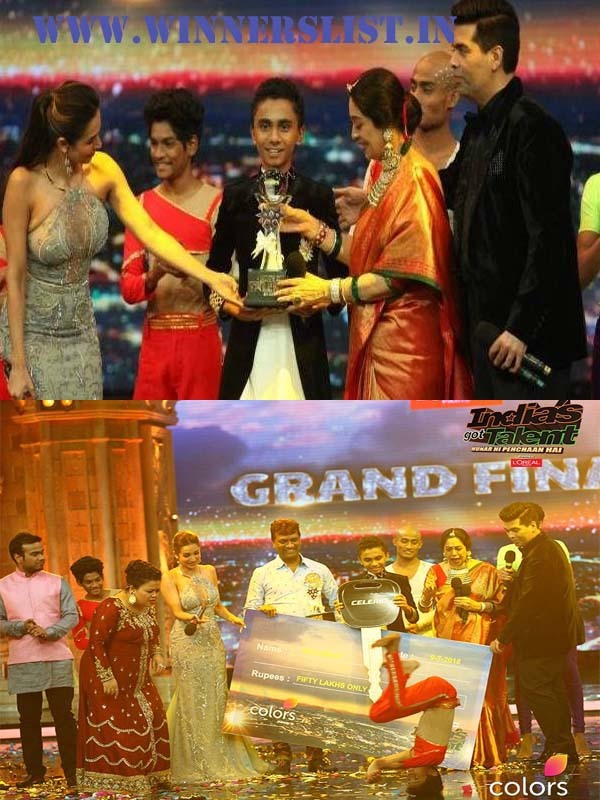 In the semifinal and final rounds, contestants proceed on the basis of the viewers vote and highest voter contestant choose as a winner of the show. So, far India’s Got Talent found 6 talent and looking for it’s season 7 talent which will be decide soon as the audition for this already completed however any new audition schedule we will update the link here. So, bookmark us for more updates now we can move to IGT winners list of all season past to present. The first season of India’s Got Talent was premiered on Colors TV on 27th June 2009 which was won by Prince Dance Group. The winning act of the first season of India’s Got Talent was of the Prince Dance Group from Berhampur, Orissa. The group of 56 performed a dance inspired by the Lord Vishnu’s Dashavatara. Season 1 of India’s Got Talent was hosted by the Nikhil Chinapa and Ayushmann Khurrana. While the show was judge by very talented film actresses Sonali Bendre, Shekhar Kapur and Kirron Kher. The show got the immense popularity in it’s first season now they are back in 2010 with IGT season 2 and the host of the show was the same Nikhil Chinapa and Ayushmann Khurrana. In IGT 2 slight changes in the judges panel as film director Shekhar Kapur was replaced by another film director and TV show host Sajid Khan the other 2 judges were same Sonali Bendre & Kirron Kher. Season 2 of India’s Got Talent Was won by the Shillong Chamber Choir which is led by Neil Nongkynrieh. 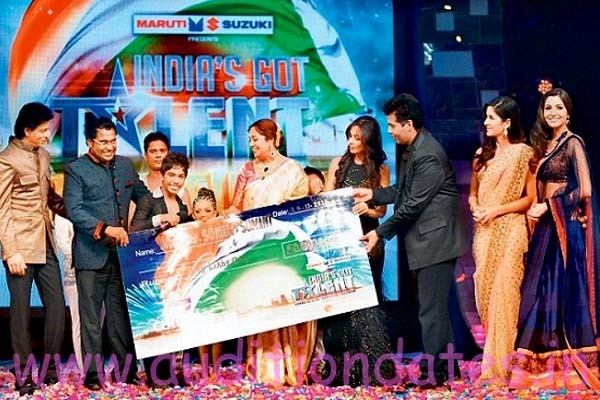 Suresh and Vernon Group becomes the emerge winner of India’s Got Talent Season 3. The was aired on TV on 29th July 2011 which was hosted by by singer Meiyang Chang and actor-model Gautam Rode. The female judge panel were still same once again the male judge change this time famous film actor Dharmender replace the Sajid Khan. The 4th edition of India’s Got Talent was aired from 22 September 2012 and once again the host of the show was changed as this time IGT was hosted by Manish Paul and Cyrus Sahukar instead of this judges panel also changed as model-actress Malaika Arora Khan replace the Sonali Bendre and fil director Karan Johar replace Dharmender and Kirron Kher was the only judge who still continue show as a judge. The last few episodes were judge by Farah Khan as she replace the Karan Johar. This time India’s Got Talent was won by the 2 young dancers from Kolkata Sonali Majumdar and Maraju Sumanth from Bivash Dance Academy. Ragini Makkhar and her Naadyog Academy won the season 5th season of India’s Got Talent. Indore based Ragini Makkhar’s Naadyog Academy is a 25-year-old dance institution which consists of 360 students. The 5th season of India’s Got Talent was aired on TV 11th January 2014 and it was hosted by VJ Mantra and Bharti Singh. Later, Mantra was replaced by VJ Andy. The judge panel of the season 5 IGT was the same and their names are as follows: Malaika Arora Khan, Kirron Kher and Karan Johar. The season 6 of India’s Got Talent was aired on TV from 18th April 2015 and finale was held on 27th June 2015 the season was hosted by Bharti Singh, Nakuul Mehta and Siddharth Shukla for the final episodes. The 22 year old Aerial Dancer Manik Paul of Barpeta, Assam become the emerge winner of India’s Got Talent Season 6. India’s Got Talent Season 7 was premiered on TV from 30th April 2016 and finale date is not confirmed yet once it’s done we will publish it here with the India’s Got Talent season 7 winner name. So stay, tuned with us for more updates. The seventh season of IGT is won by the Amritsar’s 13-year-old flautist, Suleiman. He has been crowned as the winner of seventh season of talent-based reality show India’s Got Talent. Basking in the glory of his win on Saturday, the teenager walked away with a cash prize of Rs. 50 lakh, a Maruti Suzuki Celerio car and a specially crafted trophy engraved with the signatures of show’s jury members, which comprised of celebrated names like Kirron Kher, Malaika Arora Khan and Karan Johar. You can have quick glance on the IGT winners list of all seasons in this table as well. If you have any query or feedback regarding this post please let us know and don’t forget to like us on facebook and twitter.